“Ulti.mate, outgoing single website service, looking for a lonely website to revive and look after, keep safe and secure during the winter months and optimise to help reach our full potential together. An attractive couple that will turn heads and attract visitor”’. 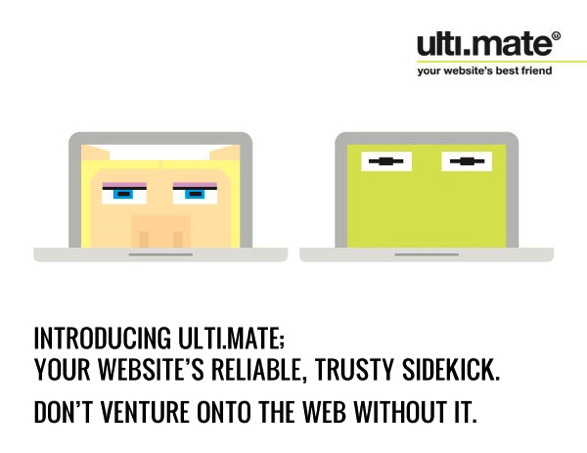 A new service that Ultimate have recently launched is ULTI.MATE. This new service acts as your websites new best friend. Offering SEO services to help boost traffic to your website and your digital marketing, Ulti.Mate will help tackle the tearful times brought by bounce rates and optimise the site to make it more attractive and help visitors find what they are looking for. Not only this but Ulti.Mate will treat your website to those well deserved monthly updates, smoothing over all the cracks. As well as also offering hosting and back up to make sure your website is never neglected again! This really is the ULTIMATE website service. Ultimate is all about working with people who take their marketing and brand seriously. If that’s you and your website is looking in a need of a boost then Ulti.Mate is the place to start. We also offer more bespoke SEO services for those clients that are looking for a long term strategy and bigger picture.